​The Chicago Cubs, like most of the MLB, are enticed by the prospect of having star outfielder Bryce Harper on their roster. But securing his services in free agency won't be easy. The ​​Cubs currently have the highest payroll in the entire league, so to convince Harper to move to the Windy City, they're going to have use something other than simply money. 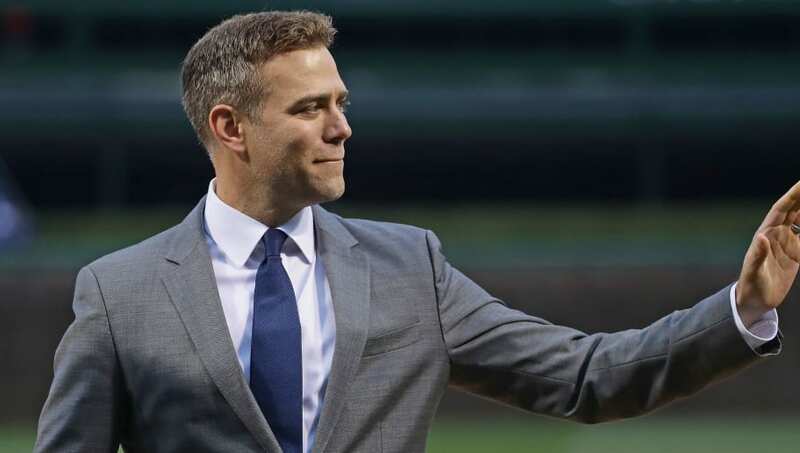 Cubs president of baseball operations Theo Epstein addressed this recently, saying his team "has limitations like every team does." This may be a bit of an deceptive statement, however, as not every team has a whopping $167 million payroll to account for. Regardless of the money the organization may owe for salaries already on the books, it still seems that Epstein and Co. plan to be as aggressive as ever this offseason, with names like Manny Machado and Daniel Murphy being named in addition to Harper as potential free agent signings (or in the case of Murphy, re-signings). With Paul Goldschmidt having been shipped to the St. Louis Cardinals, the NL Central has only gotten stronger this offseason. Having been sent home early this season in the Wild Card Game, the ​Cubs need to act unequivocally simply to keep pace with their rivals. Regardless of how little money Chicago may have to spend this offseason, they have got to have a better winter this time around than they did last year-- that Yu Darvish contract looks worse with each passing day.